Left-right are Volodymyr Shustval, Ryan Roy, Miranda Fournier and Bridgette Campbell. 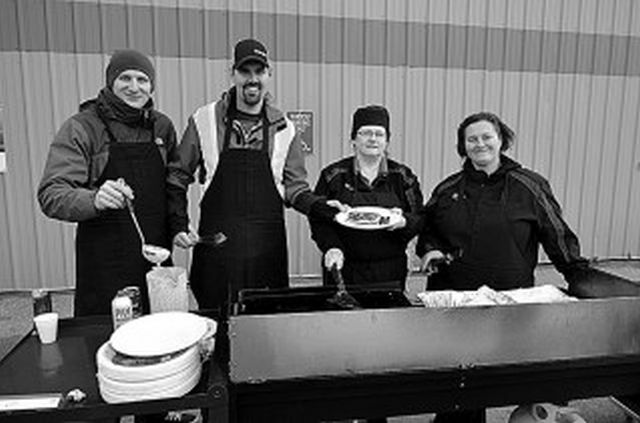 The staff for the Horizon Co-op in Falher held a breakfast fundraiser on October 13 for the KidSport organizations in the region. Smoky River Emergency Services was also there to promote home safety. See next week’s Express for more.